Could the fourth time be the charm for Buell? If at first you don’t succeed, try, try again...and again, and again. That’s presumably the mantra driving the fourth incarnation of EBR (Erik Buell Racing) Motorcycles which is returning yet again, this time with no affiliation with Erik Buell whatsoever—other than his name. The dream of the American superbike just refuses to die. 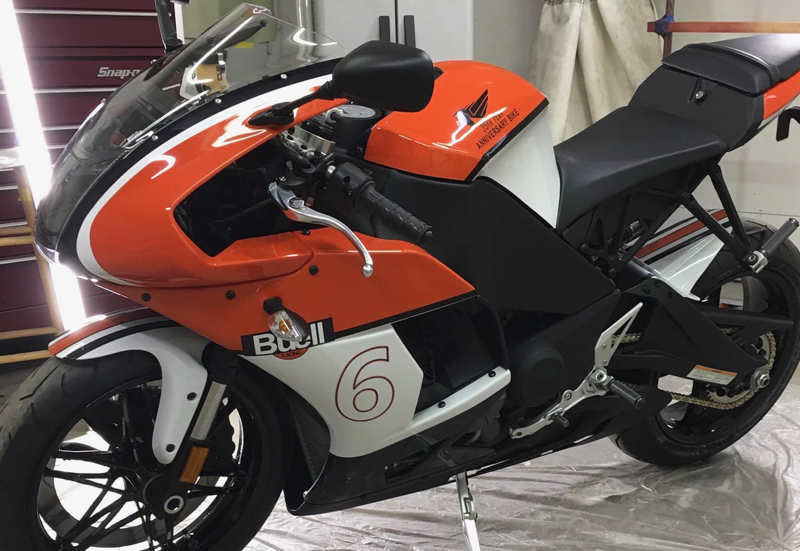 Quick history lesson: Buell started out in East Troy, Wisconsin in 1983 as a brand of American sport bikes founded by former Harley engineer and motorcycle innovator Erik Buell. Buell made a name for itself by building unique, performance-oriented motorcycles that weren't like anything you could get from any other American motorcycle brand nor, arguably, the whole motorcycle industry. It became a wholly owned subsidiary of Harley-Davidson in 2003 and was mismanaged into the ground around the time of the Great Recession. But that was far from the end of the line for Buell. The brand's namesake brought it back as an independent company called EBR in 2010 and started out building race bikes and eventually street bikes including the 1190RX sport bike and the 1190SX streetfighter, all of which were based on the same 1190 platform and V-twin engine. EBR saw moderate success in the AMA Superbike Championship and has the distinction of being the first American OEM to earn points in the FIM Superbike World Championship. Due to slow retail sales, EBR ceased operations in 2015. The company was sold for a song to Liquid Asset Partners in early 2016. Production resumed later that year and production wound down again in early 2017. But Liquid Asset Partners held on to EBR and continued supplying parts to existing dealers and honoring warranties, but was no longer producing new motorcycles. Now after almost two years of no new EBR motorcycles being built, the brand has announced that it’s coming back in very limited production. It was never exactly a very high-volume manufacturer in the time that it’s been called EBR, but now we’re only talking about a handful of bikes per year from the sounds of it. The new EBR wants to be a high-performance boutique brand “a la Bugatti, Koenigsegg, or Lotus,” according to company owner Bill Melvin. Their comparison, not ours. 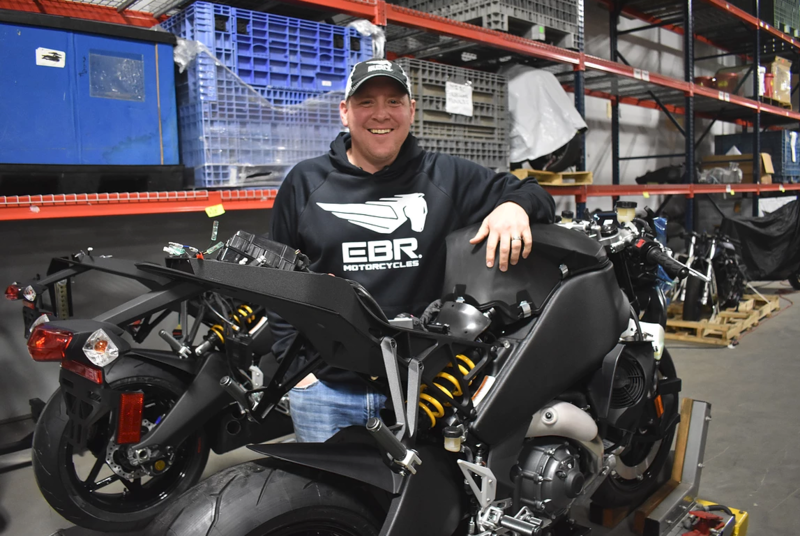 EBR has moved its manufacturing operations from its old East Troy, Wisconsin location to Grand Rapids, Michigan where bikes are being hand-built based on the aging EBR 1190 platform. That technically makes it an Erik Buell-designed motorcycle. So far, three have been built, all of which are getting custom paint jobs. The folks building them are engine builder Eric Weber and chassis builder Elliot Malzahn, both of whom worked for the original Buell Motorcycle Company. Buell—both the man and the brand—has always been a fun all-American underdog to root for, but this story gets more depressing every time that name comes and goes again in the motorcycling world. We sincerely hope for success for the fourth iteration of this brand that’s been through so much heartbreak, but we’re not hedging our bets on EBR being the Bugatti of motorcycles. Checking in with Harley-Davidson After 115 Years: How Many Does it Have Left? The company's weeklong 115th anniversary extravaganza does little to make us optimistic for the future. We spoke with a few important people at Indian Motorcycle about the evolution of one of the most significant American motorcycles in years.